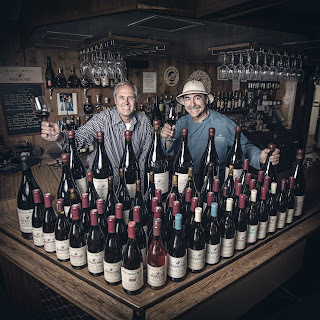 There's no such thing as a World of Pinot Noir in Santa Barbara without the two gentlemen in the photo above, so let's start with them, which is pretty much what I did Friday at WOPN since there they were as I entered the ballroom at the Bacara. 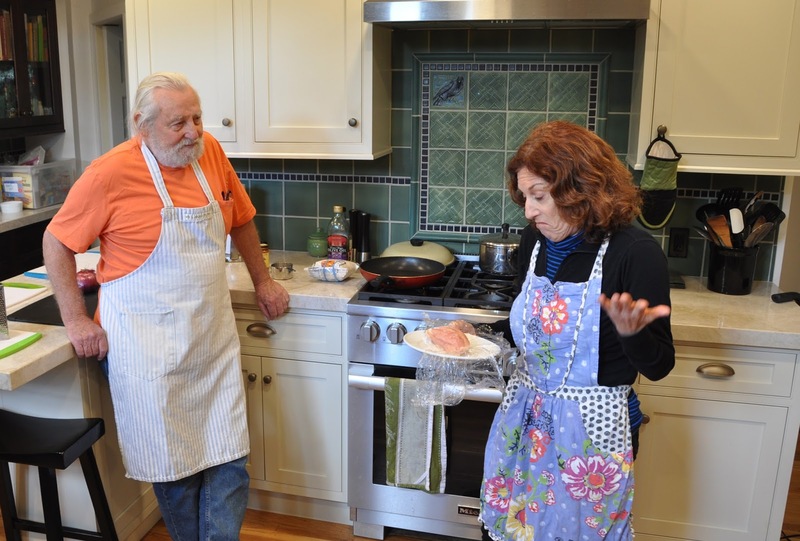 How can you not want to visit Gray Hartley and Frank Ostini from Hitching Post? Yeah, Yeah, movie, blah blah blah. We're talking guys who make killer juice and seem to enjoy it more than practically anyone and therefore you better too. 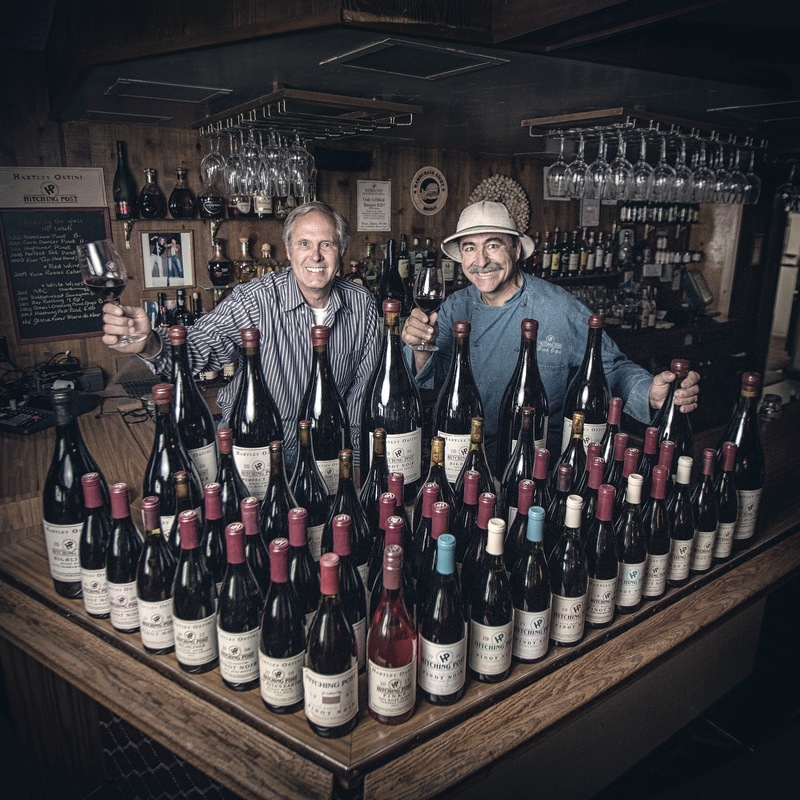 They were kindly pairing up 2007s and 2014s of Julia's, Highliner, and Bien Nacido, and what we quickly learned was SB pinot does age well (we learned this again when Rick Longoria poured his 2013 and 2008 Fe Ciega). OK, so the danger with any review of a WOPN weekend is diving so quickly into the details you forget the broad strokes, plus, simply put, so much great wine! I'm not going to write about every luscious swirl and sip, and frankly I admitted early on Friday in my notes "you're going to run out of adjectives for lovely, George," and late on Friday I wrote, after inhaling deep on a Brewer-Clifton 2008 Sta. Rita Hills, "I want to smell like this--everyone would love me!" That was Friday. I was back Saturday too, and at that point was reduced to pleasured grunting, practically. This year's WOPN was also a stunning showcase for what people are doing with the fruit from Gap's Crown on the Sonoma Coast. Expression, Guarachi, Lutum, Ram's Gate, Black Kite, Saxon Brown--the brilliant wines just kept coming from this spot that hits some magic warm enough yet sea-breeze-cooled calculus. It's never really cheap but it's always luscious. Then there's these lessons, too--perhaps we're supposed to be looking at chardonnay from Santa Barbara anyway. The folks who were semi-sneaking pours of it delighted (well, Sonoma's Hirsch did too), and part of that was just the break from more cherry and berry; think of the chard as palate cleanser, if better than any sorbet. But winemaker Matt Dees from The Hilt insisted, "The chardonnay is so much better," and he could be right. 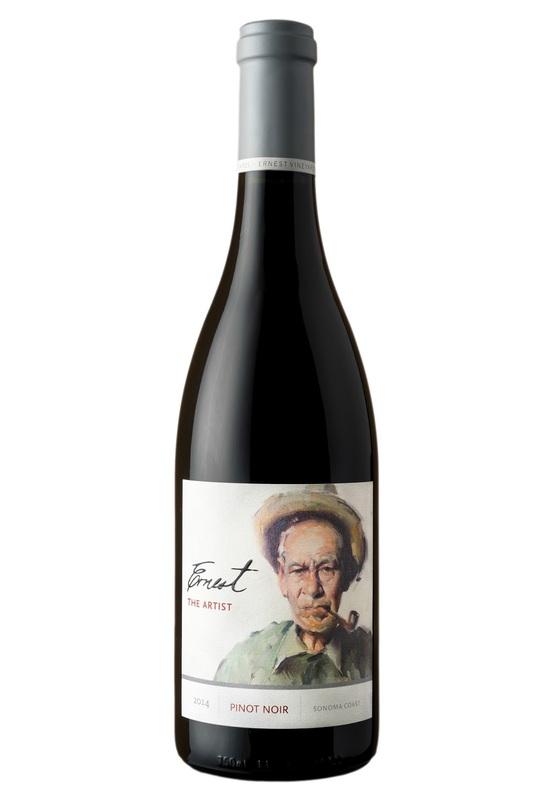 Or it could be all the wine is better in so many fine hands, from old-timers like Lane Tanner, pouring a 1991 Lane Tanner pinot that still held some fruit and fascinating graphite, to Square Peg, dryfarming pinot in Sonoma in the middle of a zinfandel vineyard. Because then there's even something like Dolin's non-WOPN pour, The Blue Note, a Bordeaux blend...from the hills above Malibu. Like I said, it's a wonderful, unbelievable world. Laurie Zalk, the former longtime owner of Our Daily Bread and a brave, brave soul, has her work cut out for her. She’s leading a group of six middle-aged guys in an afternoon she’s billed Men Only: There’s Nothing to Eat in the Fridge. 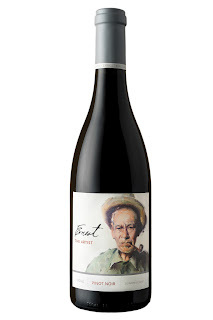 From a very young vineyard (planted in 2012) in the Green Valley of the Russian River Valley, this pinot noir is surprisingly evolved and sophisticated — not hinting at any immaturity. Lovely and fetching, it leads with floral notes of dusty rose echoed in the body along with dried cherry/cranberry fruit. Aging it in 40 percent new French oak for 10 months adds more to the silky texture than the flavor. Pop it with something such as salmon with green harissa and you’ll have a fine evening.